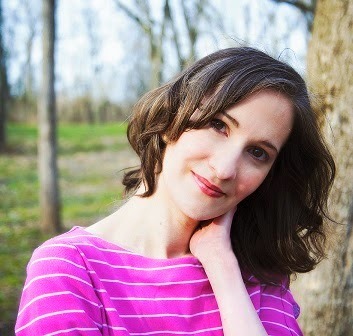 Today’s guest is author, Krysten Lindsay Hager. Thanks for joining us, Krysten. Please tell us a little about you. I'm a writer and an obsessive reader and I absolutely love bookstores. I get more excited when an author I love, "friends" me or follows me on a social media site now than I did when I got asked for my phone number by a cute guy back in high school. I've worked as a journalist and humor writer, and I also write middle grade, YA, and adult fiction. I’m originally from Michigan and I’ve lived in South Dakota, Portugal, and Southern Ohio. My debut novel, TRUE COLORS, is from Astraea Press. Congratulations on the release of your book! (Throws confetti!) Tell us about it, please. 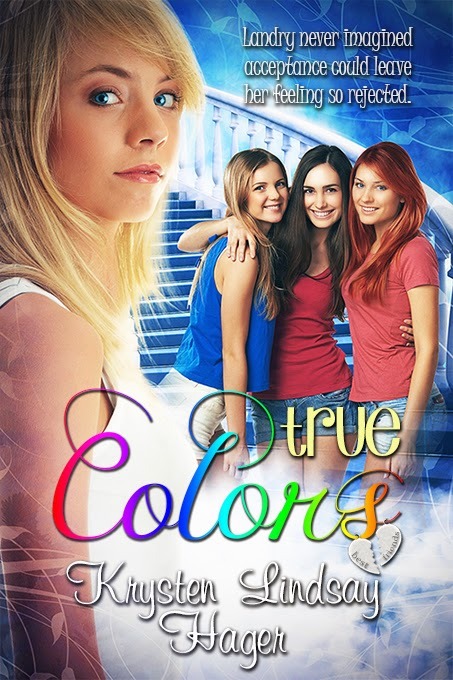 My first novel, True Colors, is about Landry Albright, an eighth grader who enters a modeling competition with her two best friends, but she runs into jealousy when she advances to the next level without them. She finds out another girl from school, the super gorgeous Devon, also made the first cut of the modeling contest. Devon seems like the perfect new best friend, but their friendship is tested when the girls go to the next level of competition. Landry also has to deal with jealousy and loyalty issues, meeting a high school boy who seems interested in her, plus handling insults from hair stylists on modeling shoot sets. I would recommend my book to readers who like Cathy Hopkins’ Mates Dates series, which also deals with teen friendships and loyalty. Judy Blume’s Just As Long As We’re Together (one of my favorites of all time). Also, the Lauren Myracle’s The Winnie Years series, which shows Winnie growing up. As a kid, I loved all the sitcoms that were set in newsrooms. I had a little plastic typewriter that I set up on a desk and pretended to be a journalist. My first intern job was in a TV news station, but it was nowhere near as interesting or fun as it looked on TV. I always liked making up stories when I was growing up and one of my favorite things to do was finish off cliffhangers on soap operas with my Barbie dolls. If I didn’t like the way the soap writers handled the storyline, I’d change it and play it out how I wanted it to end. Naturally, my characters, Landry and Ashanti, are obsessed with soap operas, too. Like my characters Landry, Ericka, and Devon, I also was into modeling. I did a little modeling myself and grew up during the time of the supermodels. Christy Turlington, Helena Christensen, and Cindy Crawford were my favorite models. You can see a little of Christy and Cindy’s influence (both being smart and business women as well as just pretty on the outside) in Landry’s favorite model, Talisa Milan. I hate to admit this, but I’m still a sucker for a supermodel in an ad. My glasses? Yeah, picked them after I saw Helena wearing them in an ad and same goes for Christy Turlington doing Calvin Klein ads. I see her in an outfit and it’s like—sold!! Take my money!!! I grew up in Michigan and one of my favorite places to go is Saugatuck, MI, which is a beach town near Lake Michigan. I love all the art shops and cute clothing places there. I’m working on a story set in both Saugatuck and Grand Haven (another beach town nearby). New York City is high on my list because I love the excitement of the city—and the shopping and art museums! Another favorite is Detroit, MI. I was just there for a visit and there is no place like Detroit and all the suburbs. I love going to games there, the great shopping, going to the art museum, and the amazing park (Belle Isle). I get so homesick when I’m away too long. When I was a kid, one of the people I admired was a basketball player named Bill Laimbeer who played for the Pistons. He was one of the “Bad Boys,” and got booed a lot by the other teams’ fans, but what I admired about him was that he didn’t care about that. He just went on the court each night, played his best. I was an insecure kid who needed to see someone successful who didn’t waste time worrying about what other people were saying about them. I had a basketball card of his as a kid and later, in college, I got a chance to meet him. I was so nervous, but I had to tell him what an impact he made on me. I remember him breaking into a big smile. Oh yeah, and he signed my basketball card! One of the people I currently admire is Demi Lovato because it’s hard to share your personal life stories with people—particularly the painful ones and the one that might get us judged. I admire Demi for sharing her personal struggles with her fans. I also admire rapper Jon Connor because I’m crazy about anyone who has a lot of passion for what they do and you can see he truly does. He does a lot of tribute albums of rappers he admires and I love that he often shares his music for free so he can reach more people with his art. It’s inspiring seeing people with such passion and respect for their field. I’ve been following his career for a while (he’s from Flint, Michigan, and I’m from the Flint area) and it’s so great to see him promote Flint in a positive light. Aw! Those are all very admirable reasons for admiring people. Now, where can our tech savvy readers find more about you and your books? Thanks for joining us on this week’s Three Times A Charm, Sandra. Best of luck to you and True Colors. What a fun plot! Congrats to Krysten!